Godavari Fisheries Estate is originated in August 20, 1997 by Dr. Ashwani Kumar Dubey Villager of Nahdora-Khajuraho under the technical guidance of Fish Farmer Development Agencies, now is called Department of Assistance Director Fisheries, Government of Fisheries Department, Chhatarpur, Madhya Pradesh India. Godavari Fisheries Estate is primarily the Fish Culture which can be integrated with plantation such as vegetables, medicinal plant, with animal husbandry like poultry, duck rearing, and cattle farming. 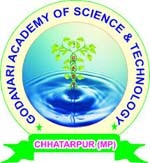 Godavari Academy of Science & Technology includes Research and Development Unit, Technical Education as well as Training Centre, Primary Health Care Unit and Social Amenities also added in Godavari Fisheries Estate. The bio-wastes form the aforesaid practices can be recycled into manures as fertilized land as well as pond and also can use for Bio-gas. Godavari Fisheries Estate Programmed for the self-business men, unemployed graduate and postgraduate students especially ichthyologist, fishermen, and poor community in the village area. The survey of data indicated that the area of Godavari Fisheries Estate is suitable for fish culture with rich of water supply, electricity facility and approach roads. Its planning and construction done by the Directors of Godavari Fisheries Estate, which also run model centers for advanced technology transfer and provide facilities for self business training to the local and unemployed graduate and postgraduate students. This will help in upgrading the skills of fisherman and unemployed graduate and postgraduate students so that they become capable to execute and manage all activities in Godavari Fisheries Estate. The model is highly adaptable and is designed to meet the needs and resources of any given area. This idea can be adapted and modified to suit the local resources and manpower needs. SC/ST people can ensure benefits to fishermen and villagers. Godavari Fisheries Estate is intended to make optimum use of ecosystem and also recycle organic wastes. This will ensure maximum production per unit area by using all available resources for mixed farming system. Godavari Fisheries Estate has in built energy saving desires, like the use of windmills for recirculation water and air in ponds. The by-product manure and water in the ponds help. The water quality monitoring and biochemical approach is used for fast growth.